What does it mean to be true to one’s roots? In our world of multi-tasking, iPhones, and tech wizardry everything is about speed. And everything changes. Roots become less about a sense of place and more about staying true to who you are. And who you are is not so much about the thing that you do, as it is the process of how you came to do it. 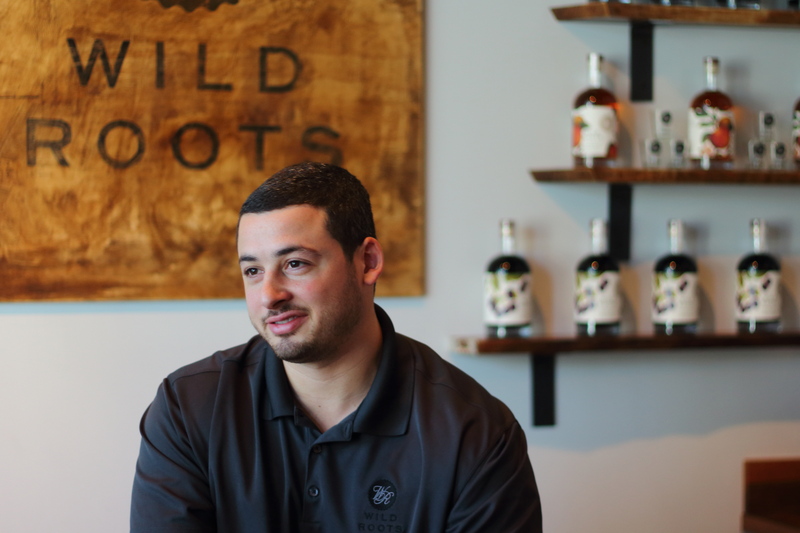 Chris Joseph, founder of Wild Roots Vodka, is an entrepreneur and businessman. At the core of his story of success is resilience. “I love the Northwest. If it were up to me, everyone would be able to experience the Northwest. 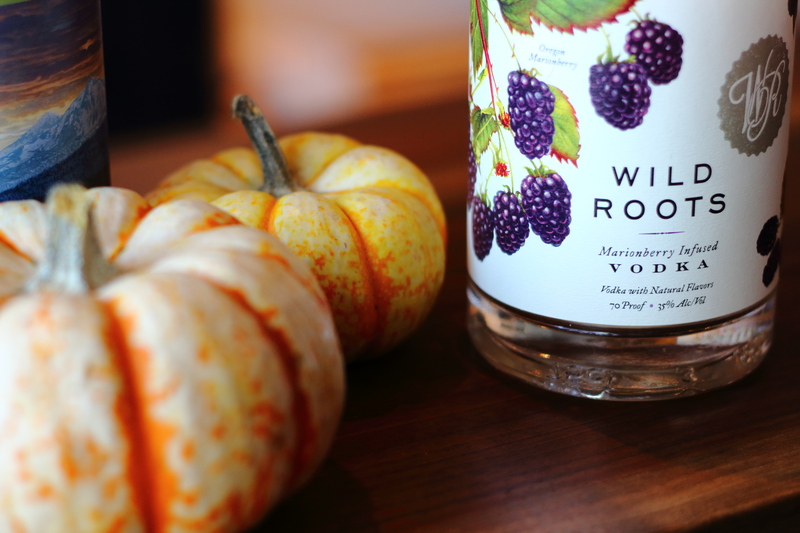 Wild Roots allows me to share the Northwest with everyone else,” Chris said of his distillery based in Portland, Oregon. Born in Oregon to a father who ran his own business, Chris was brought up with an appreciation for being self-employed. “That is how I figured you make it and it seemed like a better lifestyle and I knew that was what I wanted to do. Did I know it would be a distillery? Absolutely not.” In college he studied Business Management and gained real-life experience though his jobs outside of school. Chris wanted to have his own business, but his plan was to have that later in life. Approaching graduation, he had been accepted into law school but the vision for creating a product that was true to the culture of the Pacific Northwest lingered in his mind. Listening to the advice of his uncle, he had the realization that he could always go to law school but it would be near impossible to simultaneously be a lawyer and start a business. The vision for Wild Roots came from a bit of exploring and creating. Extra berries had Chris experimenting and with the lush fruit of Oregon he made pies, jam, and other treats. One day, by his own caprice, Chris added these berries to vodka. A month later Chris and his girlfriend tried the vodka and were pleased with the fruity concoction. And yet Chris thought that entering the spirits industry would be near impossible, and besides weren’t there already a plethora of infused vodkas available? What Chris found though, was that a natural fruity vodka free of artificial flavors and preservatives did not exist in marketplace. 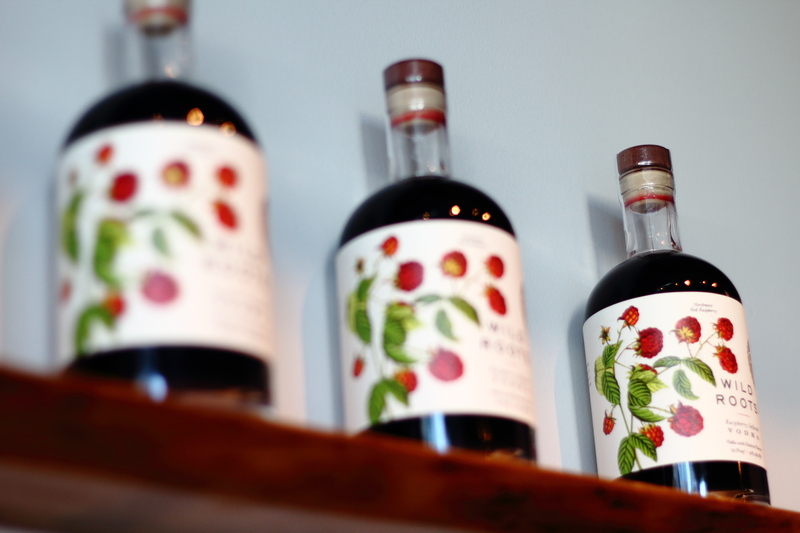 He also knew that these additives weren’t necessary and had the vision to establish a premium infused liquor made with fruit from the Pacific Northwest. “We take what the Northwest is known for. That is why we start with Marionberries, Raspberries, and Apple. If you travel outside of Oregon, to New York, even outside of the country, everyone brags about what we grow here. It is unique to Pacific Northwest,” Chris said. To bring Wild Roots into existence the young man needed both a business plan and start-up capital. The business plan was the easier of the two tasks as he had just taken a class on entrepreneurship and opted to use that business plan as a template. Distilling is big business and requires a hefty investment. He was advised that it would be near impossible for a young and recent graduate to enter into the market much less compete with the well-known brands. Chris did not let this deter him, and instead went out and purchased his first business suit and traveled to the Bend Venture Capital Conference. Several years, a tasting room, and shelf space in several states later Chris chuckles at the memory of that day in Bend where he poured berry vodka from his car to potential investors. The investors were interested; the problem Chris faced was that the accepting investments would mean he would have to give up majority share and control of his business. Chris now had $50,000 in start up funds, but starting a distillery requires at least ten times that amount. The young entrepreneur didn’t focus on what he did not have, but rather on how he could realize his vision. Chris adapted his business plan to bootstrap it, or stretch his capital by using existing facilities to produce and bottle the product. Today Chris has his own warehouse and over 10 employees and is able to bottle the vodka in house. One of his goals is to take production in house, and he is focused on growing his business organically. This is how he turned what was a “hobby” into a full time job. 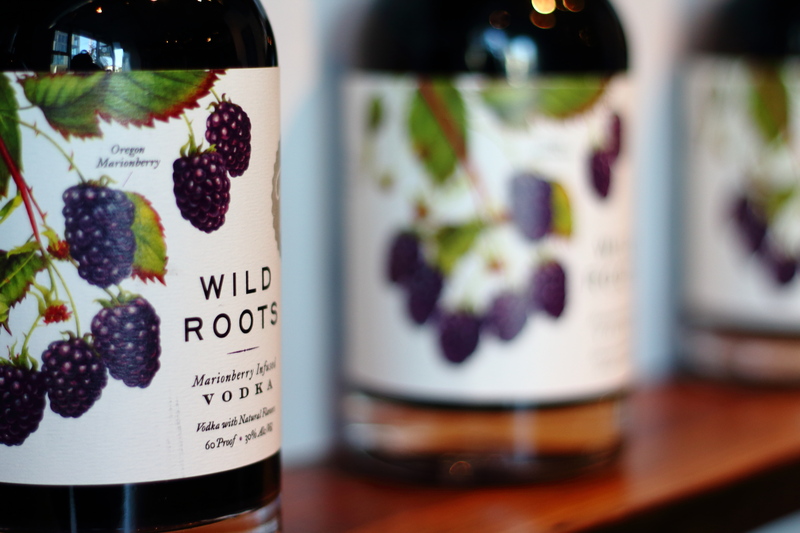 “I went to every store, sampled my product and pitched my vision.” The name Wild Roots was already familiar to the liquor storeowners. 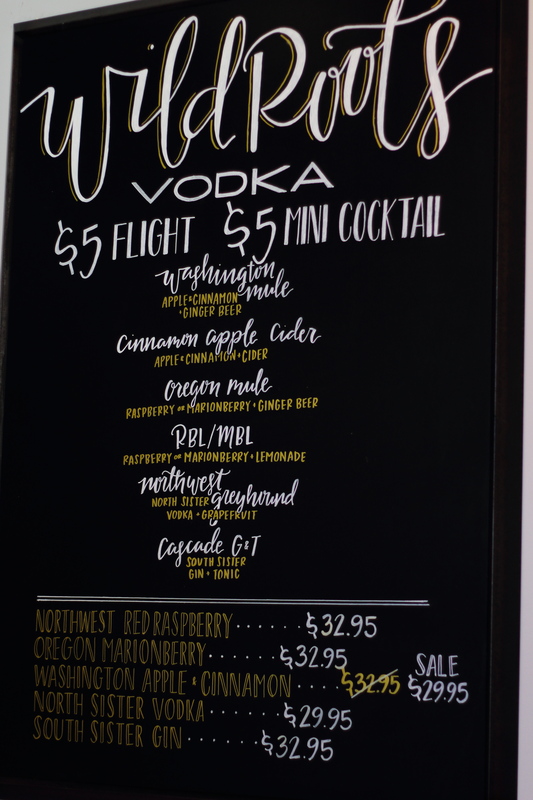 The Northwest product was debuted at Berry Fest and Farmer’s Markets, and those that had tasted the naturally infused vodka were asking for it. 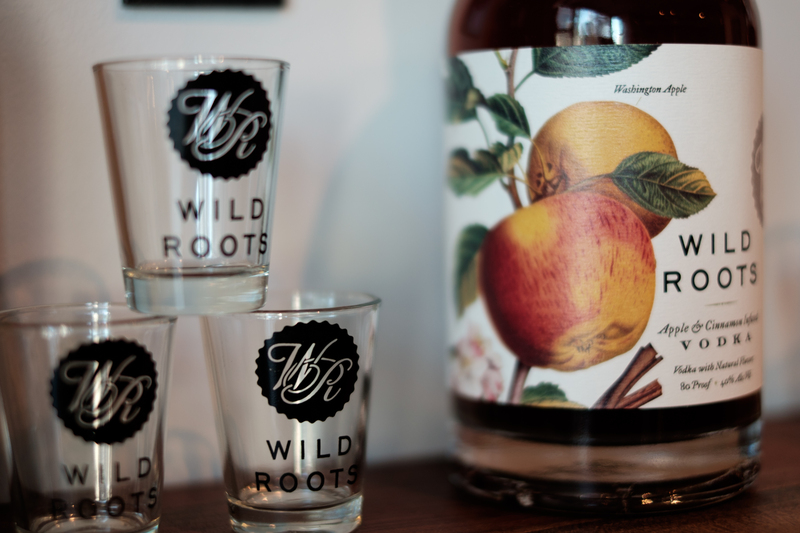 “Wild Roots went from me working out of my dad’s garage to being one of the top 10 liquors sold in Oregon in a year and half,” he shares. Makers and creators alike will share that when you find your passion working doesn’t feel like work. This may be an oft-said axiom but it holds true for Chris. The hours may be long sometimes, and there is always a new obstacle to overcome and Chris finds himself daily spending his time solving some new problem. “I wake up everyday with 10 new problems and by the end of the day there is an hour left to do the things that I really needed to do,” Chris said. 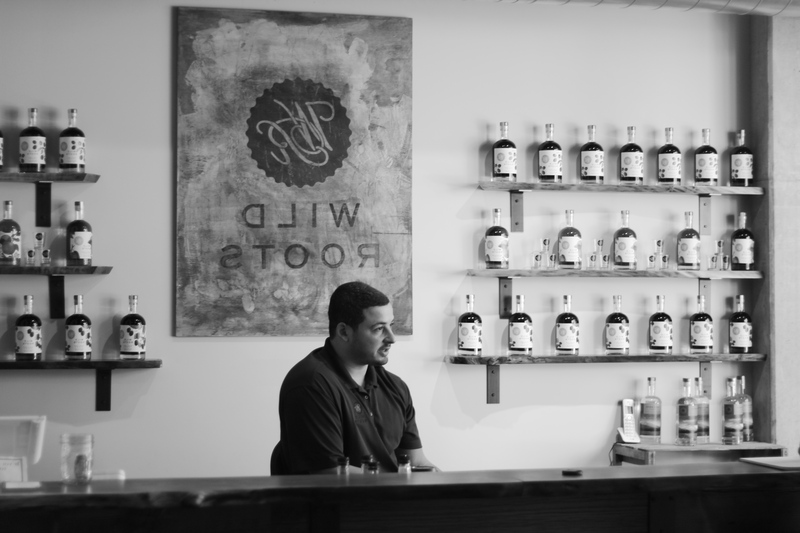 The times that Chris works in the tasting room and can see the people try Wild Roots make the challenges of running the distillery worth it. “Try it. I don’t know how many times I was called foolish. I was told I was going into a saturated market with no experience. People thought it was a joke or didn’t take it seriously. I think it takes a bit of naiveté and foolishness to make a business work. I would fail 100% of the time if I didn’t try. I think others have to just try and trust their vision.” Chris had the good sense to try and realize his passion and crafting a Northwest product that is true to his roots is extraordinary. 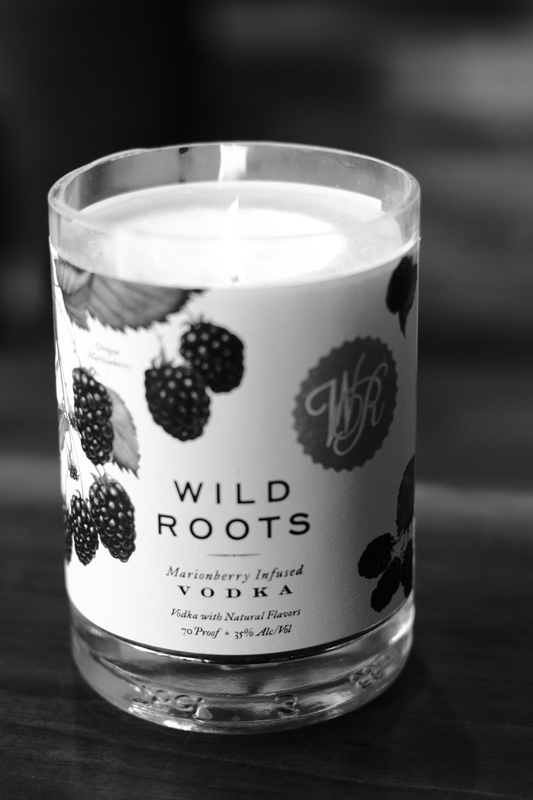 Check out Wild Roots here!